October is fire safety month and a great time to review your operation’s risk. Have you implemented necessary precautions to protect your business from a fire loss? Do you have an updated Fire Safety Plan? Fire Protection Equipment can substantially minimize a fire loss if it is functioning properly. Is your fire protection equipment inspected on a regular basis? Most insurance carriers provide “safety credits” for business’ that have fire protection equipment. Are your getting premium credit for the equipment you are already using? 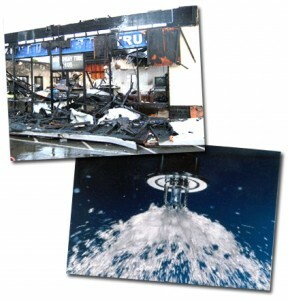 The long and short of it is that protecting your property from a fire can mean SAVING your business from ruin. The most frequent causes of worksite fires are unprotected or faulty equipment, unsafe storage of combustible materials, inadequate ventilation, failure to follow established safety guidelines, inattention, and human error. A proactive fire safety plan can reduce or possibly eliminate several of these causes. the creation of a fire safety committee consisting of members from management, supervisory staff, and other employees to help promote the importance of fire safety at all levels. This committee plays an important part in the development, education, testing, and adjustment of the plan as well as performing the key actions at the time of a fire. Having a good plan is just the start as it must be communicated to key players in order to have a full impact. A copy should be made available to your fire department, property owner and/or manager, all supervisory and management staff, as well as portions posted in staff work areas, lunch rooms, information bulletins, etc. All staff should minimally understand what to do when they discover a fire, hear the fire alarm or when they cannot evacuate. The following fire protection equipment can significantly reduce the devastation that a fire can have on your business and should be tested, inspected, and maintained in accordance with NFPA standards. There are different types of fire sprinkler systems on the market and each is designed for a different situation. The most common is a Wet System which utilizes water-filled pipes and releases water onto the fire once the sprinkler heads are activated. If the entire building or a portion of it is subject to potential freezing, then a Dry System would be opted for. A Dry System’s pipes are filled with compressed air. Once a sprinkler head activates, the air is released and water enters the pipes to discharge on the fire. This second system has a slower release time and thus is not the preferred option. The pipes of a Proaction System are also filled with compressed air. A releasing panel determines the timing of air being released, pipes filling with water, and spraying. This system is often the choice for areas where the sprinkler heads are subject to damage, water is the desired last resort for fighting a fire, or a dry system is needed without a delayed release. Deluge Systems are also activated by a release panel but have all open nozzles strategically placed thoughout a building with the intent of spraying every part of the structure. Less utilized is the Anti-freeze System due to its expensive installation and maintenance. The special control valves allow the pipes to fill with a non-freezing solution. Commercial fire sprinklers must be specifically designed for each structure because each business has different levels of risk and unique factors. Although these systems can be a costly investment, they are one of the best sources of protection. Properly installed and maintained commercial smoke detectors provide an early warning sign when a fire begins, therefore protecting your employees, customers, property, and inventory. Before the enhancement of technology, smoke detectors were battery operated and only the one detector impacted would sound. Now there are hard-wired smoke detectors which alleviate the need to check batteries and sound throughout your building when triggered. The protection of a smoke detector can be elevated by having them tied into a control panel and central station alarm. The control panel can be used to monitor several zones where the detectors are placed and give insight as to which zone an alarming detector is in and alert either your alarm company or fire department. This increases your ability to find the fire source and minimize your damage. It is important to ensure you have the right type of fire extinguisher for the exposures unique to your business. Fire protection experts recommend separate extinguishers for kitchen, garage, production floor and other exposures. The following is a quick guide to help choose the right class of extinguisher. A. For ordinary combustible materials such as paper, wood, cardboard, and most plastics. B. For fires involving flammable or combustible liquids such as gasoline, kerosene, grease and oil. C. For fires involving electrical equipment such as appliances, wiring, circuit breakers and outlets. To avoid electrical shock, never use water to extinguish class C fires. D. Designed for fires involving combustible metals such as magnesium, titanium, potassium and sodium. K. For fires that involve cooking oils, trans-fats, or fats in cooking appliances and are typically found in restaurant and cafeteria kitchens. Fire doors and windows are an important means of preventing the spread of fire within a building and often are required by building codes. They can be made from variety or material and must be certified by an approved laboratory. Fire doors may be made of a combination of materials, such as: timber, steel, gypsum, vermiculite boards, and glass sections. Both the moving panel of the door and the door frame are required to meet the guidelines of an approved laboratory. The door frame includes the fire or smoke seals, door hardware, and the structure that holds the fire door assembly in place. Most fire doors are designed to be kept closed at all times. Some doors are designed to stay open under normal circumstances, and close automatically in the event of a fire. The door’s movement should never be impaired by a doorstop or other obstacle. Fire-resistive windows must remain intact if a fire should occur and are also made to withstand the impact of a fire hose stream. Fire windows can be made of any of the following: Wire mesh glass, Liquid sodium silicate fills between two window panes, Ceramic glasses, and Borosilicate glass. Rated fire windows and doors are tested to withstand a fire for a specified period. There are 20, 30, 45, 60 and 90-minute-rated fire doors and windows. The NFPA 80 requires annual inspections of fire-resistance, doors and door frames which building and fire codes make the responsibility of the building owner. Central Station refers to a company that provides services to monitor burglar, fire, and sprinkler alarm systems. Central Stations use special telephone lines, computers, software, and trained staff to monitor their customer’s systems and call the appropriate authorities in the event an alarm signal is received. Central Station software has to meet special requirements, processing, and storing very large amounts of data and integration with many different alarm protocols. Underwriters Laboratories (UL) is a leader in the US in inspection and certification of central stations. UL conducts annual audits of these licensed facilities to ensure compliance. “Licensed” companies typically offer higher levels of service and reliability because they are mandated to follow certain regulations. Not all alarm companies monitor the systems they install and may outsource to another company. Before you enter a contract with an alarm company, verify they are licensed and subject to UL regulations. It is standard practice for insurance companies to include a “Protective Safeguard ” endorsement on your property insurance policy if you have one or all of the above referenced fire protection equipments. This endorsement requires you to maintain the system(s)/equipment in working order. Failure to provide prior notification to your carrier of temporary suspension (even during testing), long term suspension, or permanent disablement of the systems will result in denial of a fire claim. Because credit consideration is given in the rating of your policy if you have these systems/equipment, that credit will be removed if the system(s)/equipment are not maintained in working order. While the total number of workplace fatalities remained nearly unchanged from 2009 to 2010 (4,551 compared to 4,547), the number of fatal work injuries resulting from fires and explosions rose from 113 in 2009 to 187 in 2010, an increase of 65 percent! According to the U.S. Bureau of Labor Statistics’ National Census of Fatal Occupational Injuries, the increase was mainly driven by non-explosive fires which caused 109 fatalities in 2010, compared to 53 in 2009–a 106% increase. 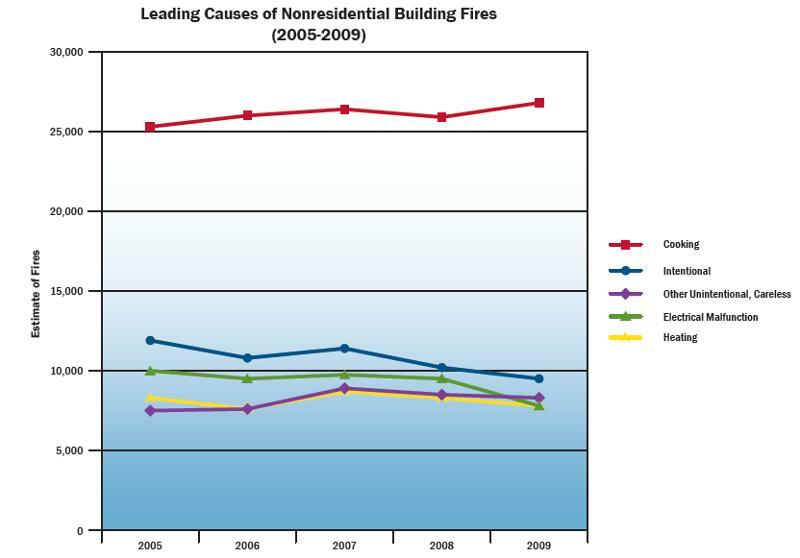 * Commercial fire losses accounted for 25 percent of total fire losses in 2009. * Another 17 percent of commercial claims had an ensuing fire. The Toole Agency partners with multiple insurance carriers who has a loss control division that can work with our client to provide an assessment of their business in regards to fire control measures. In addition, we can verify that you are obtaining the appropriate benefits on your insurance policy for utilizing specific fire protection equipment.